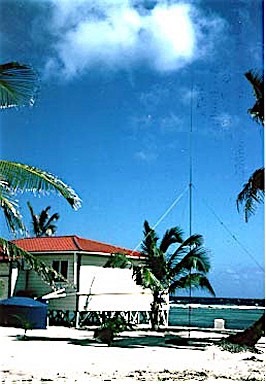 a 100-watt transceiver (but running at lower power) with vertical and wire antennas. 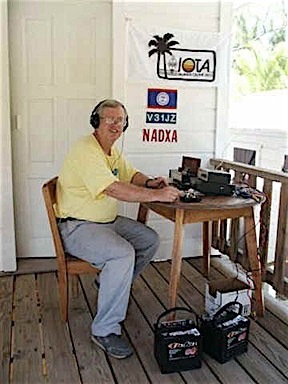 Operation was mostly CW on 40-10m including WARC bands. 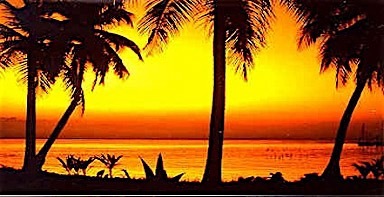 a good view of the Caribbean about 100 feet (30 m) away through the palms. 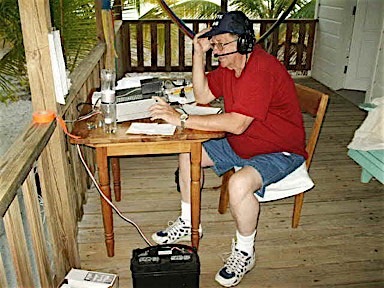 his 10th trip to Belize since 1988. 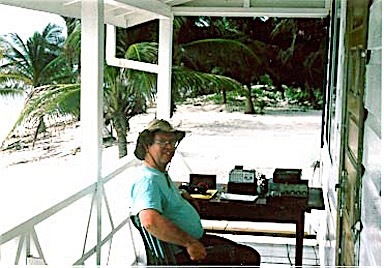 He has also operated from the Turneffe Islands (NA-123), Ambergris Caye (NA-073), and numerous places on the Belizean mainland. 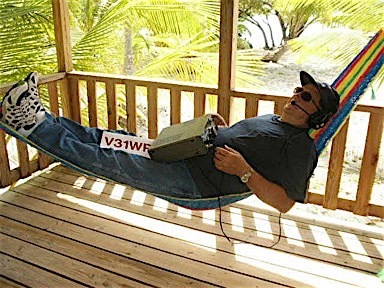 Dxing in paradise! The ONLY advantage of SSB over CW!